My immediate surroundings; my back yard; what is my daily life; lets have a quick look. 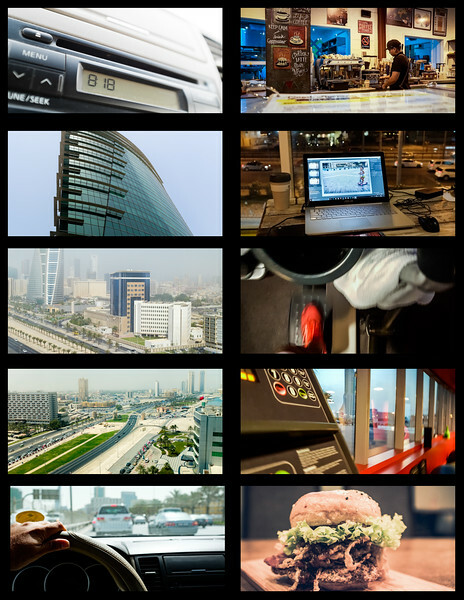 Inspired by my latest photo assignment "photo sequence", i opt to assemble my daily routine in a photo sequence format which made a lot of sense to me. Between waking up and driving to work, the view from our offices, going to my favorite coffee place to listen to a podcast and edit while watching the cars goes by, having a good workout and then eating what i love, those are glimpse into my routine combined in a photo sequence. It was nice and refreshing to do this challenge. it wasn't that technical as some of the pictures was snapped with my phone. It was nice because it allowed me to re-think of my life and daily routine and appreciate what i have and inspire to work hard to get what i don't.